We are delighted to be supported by Brandenburg Choral Festival of London at this event in November. The evening promises to be a sumptuous a cappella concert with music from Victoria, Palestrina and many more, held at beautiful St. Pauls Church Covent Garden. Brandenberg Choral Festival will kindly donate 50% of standard price ticket sales, bought through the link below, to us. Located in the heart of the West End overlooking Covent Garden Piazza, St Paul’s Church is affectionately known as ‘The Actors’ Church’, owing to a long association with the theatre community. Designed by Inigo Jones in 1633, this beautiful church often serves as a theatre and concert venue. Its award-winning courtyard garden is a haven of tranquillity in the busy West End. 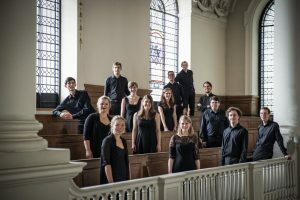 Established in 2014, the Iken Scholars are a London-based chamber choir dedicated to exploring hidden corners of the Renaissance repertoire. Recent performances have included masses and motets unheard in 400 years, as well as large-scale masterpieces from the central canon. 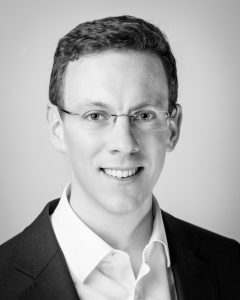 Primarily focused on presenting unusual and liturgically-focused programmes in the capital, the choir is increasingly in demand in London’s cathedrals and further afield. The group is made up of young professionals and directed by Matthew Dunn. For more information, visit our webpage: www.ikenscholars.co.uk. In 1572, Tomás Luis de Victoria published his first book of collected works: his Mottetorum. Some of Victoria’s most famous pieces are transmitted in this volume, including the renowned O Quam Gloriosum. This concert uses the volume as a starting point to explore Victoria’s music in some detail. It looks at the compositions that inspired Victoria in his own generation and the immediately preceding one (Palestrina and Stabile among them) and the composers who in turn came to be inspired by Victoria and others (such as Giovanelli). Finally, it presents Victoria’s own revisiting of his works years later when he composed parody masses based on his motets. This concert also features the sumptuous Missa O Quam Gloriosum. Please join us for this fabulous evening of choral music and help support our work in bringing compassion, care and support to people living and dying with terminal illness in Kenya. ← Our day at Kenya in the Park!